The International Union for Conservation of Nature (IUCN) is an intergovernmental organization comprised of over 1,200 members, including more than 200 government and more than 900 non-government organizations. IUCN helps the world find pragmatic solutions to our most pressing environment and development challenges. IUCN’s mission is to influence, encourage and assist societies throughout the world to conserve the integrity and diversity of nature and to ensure that any use of natural resources is equitable and ecologically sustainable. The Global Gender Office (GGO) contributes to IUCN’s mission by providing innovative approaches, technical support, policy development and capacity building to a wide range of partners – including IUCN members, offices, commissions, and networks – ensuring gender equality is central to sustainable global environmental solutions. IUCN’s strong commitment to gender equality as an integral part of both conservation and sustainable development sets it apart from other technical environmental institutions. The GGO has evolved and grown over several decades of implementing this commitment in various programmes and offices throughout the world. Since 1984, women’s issues and gender concerns have been given high priority through various decisions of IUCN Members’ Assemblies and World Conservation Congresses. In 1998, IUCN formally approved the Gender Equality and Equity policy, which established the creation of a Global Senior Gender Adviser Office and defined gender considerations as an integral part of the IUCN programme of work. Additionally, a network of regional Gender Focal Points was established to ensure that the Policy was taken into account in all initiatives at the regional and national levels. The GGO enjoys worldwide recognition for its extensive 20-year body of work addressing gender equality issues across various aspects of the environmental sector and in the larger context of ensuring equitable sustainable development. 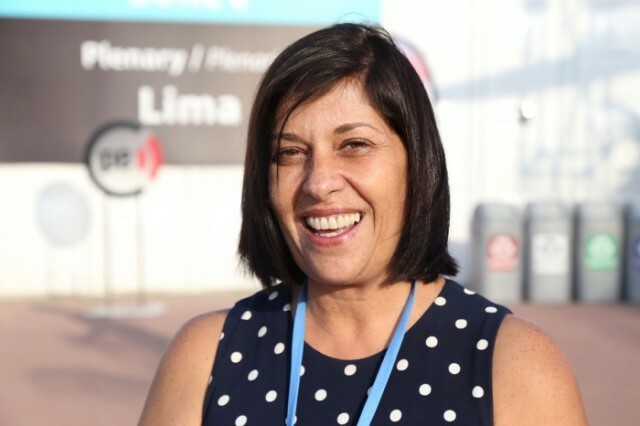 The GGO has been led by Lorena Aguilar until 2018, when she was appointed Vice Chancellor of Foreign Affairs in her home country of Costa Rica. Until early 2013, the GGO was based in Costa Rica, out of the IUCN Regional Office for Mexico, Central America and the Caribbean (ORMACC). Now, the GGO finds its home base in the IUCN Washington, D.C. office. Explore the GGO’s current projects and past work here. Visit the Knowledge Center for the GGO’s extensive library of gender-related publications.